Ativan (lorazepam) is a member of the benzodiazepine class of drugs. Benzodiazepines are used primarily in the treatment of anxiety, seizure disorders, and as muscle relaxants. These drugs work on the major inhibitory neurotransmitter system in the brain, gamma-aminobutyric acid (GABA). Their action results in a decrease of excitation in the brain and spinal cord due to a suppression of neuronal firing. Ativan is also classified as a Schedule IV drug by the United States Drug Enforcement Administration, indicating that it has a moderate potential for abuse and for the development of physical dependence. It is the potential for physical dependence that makes it a drug that will inevitably produce a withdrawal syndrome in chronic users and abusers who attempt to stop using it. Physical dependence occurs as a result of an individual taking certain types of drugs over rather lengthy periods of time. When an individual chronically uses or abuses certain classes of drugs, the individual’s system becomes acclimated to having the drug present and learns to function at a steady level only when the drug is present in the individual’s tissues. The system automatically adjusts its own release of chemical substances, such as neurotransmitters, hormones, and so forth, to account for the presence of the drug. Once the individual abruptly stops taking the particular drug, the system is thrown off balance, and this produces a number of physical symptoms known as withdrawal symptoms. Withdrawal from a benzodiazepine like Ativan can be potentially dangerous and even fatal due to the potential to develop seizures during the withdrawal process. Ativan withdrawal usually occurs in two stages: an acute stage and a prolonged stage. A protracted withdrawal syndrome (in some sources, this is just referred to as a withdrawal syndrome) occurs after the acute phase and typically lasts 10-14 days; however, in individuals who use very high doses of Ativan, it could last even longer. In this stage, individuals will continue to experience symptoms of anxiety, drug cravings, nausea, vomiting, headache, general malaise, and may even to begin to develop depression. Some individuals who have a co-occurring anxiety or panic disorder may also experience a return of anxiety symptoms that may persist until treatment is put into place. Certain individuals may continue to experience mood swings, depression, general malaise, and lack of motivation for months to years following discontinuation of Ativan. Some sources refer to this as a post-acute withdrawal syndrome (PAWS). The dose and frequency of Ativan: Chronic users or abusers of Ativan develop tolerance relatively quickly. 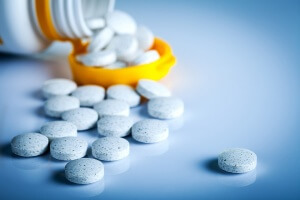 Individuals who become physically dependent on Ativan and have been taking it for some time typically take doses that are far higher than the daily recommended maximum dose and take them relatively frequently to avoid withdrawal symptoms. The higher the dose one takes and the more often one takes Ativan, the more intense and lengthy the withdrawal syndrome will be. How long the individual was taking Ativan: This will determine in part the intensity and duration of the withdrawal symptoms. Individual differences in physical, emotional, and psychological makeup: Personal factors – such as body composition, history of addiction, and co-occurring mental health issues – can play a role in the intensity and length of the withdrawal syndrome associated with Ativan. Benzodiazepines are commonly abused in combination with other drugs, such as alcohol, narcotic pain medications, other benzodiazepines, and even sedatives. Withdrawal from benzodiazepines becomes even more complicated when an individual also stops using other drugs that involve physical dependence and withdrawal symptoms, such as alcohol. Ativan withdrawal symptoms can be eased via medical detox. The program should be supervised by a physician who can slowly taper down the dosage of Ativan for the individual, minimizing withdrawal symptoms. At the same time, the physician and other medical professionals can supervise the client and prescribe medications as needed to facilitate the process. Certain drugs or substances can be given to assist in the process of withdrawal. Melatonin, a hormone that induces sleep, is sometimes used during Ativan detox. There is research to indicate that it can be useful in addressing insomnia in individuals withdrawing from Ativan and other benzodiazepines; however, the research is mixed. The antidepressant Paxil (paroxetine) has some research evidence to indicate that it can help ease some of the withdrawal symptoms associated with Ativan detox. It may be associated with increased success rates during withdrawal. Individuals who develop seizures or seizure-like activity during Ativan detox are generally prescribed anticonvulsants. While physicians may use a number of medications to address certain symptoms during the withdrawal process, there are no medications specifically dedicated to treating benzodiazepine withdrawal. In addition, a 2006 meta-analysis indicated that the most effective method of addressing withdrawal did not include the use of medication, but instead included the use of a tapering approach during the withdrawal process from benzodiazepines like Ativan.